Former England hero Stuart Pearce has come out of retirement at the age of 53 to sign for a side dubbed the “worst team in the UK”. 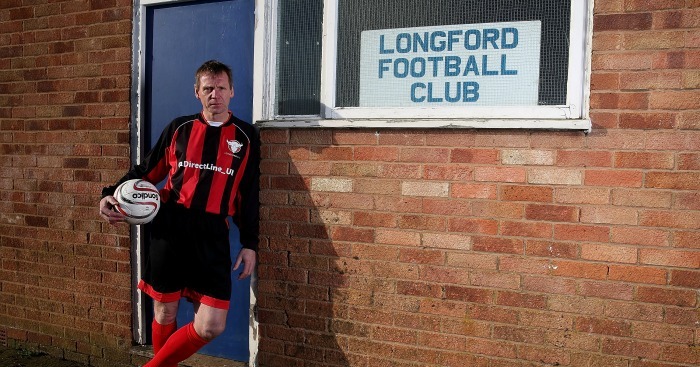 Pearce, who shone for the likes of Nottingham Forest and Newcastle in the 90s, will turn out for Longford AFC, and says grassroots game is “essential” to the sport. The Gloucestershire Northern Senior League Division Two outfit have lost all of their 18 games this season, scoring only once and conceding a whopping 179. “I started out in non-league football playing for Wealdstone before joining Coventry City,” Pearce said. Despite his new January signing having won two league cups, as well as played at World Cup and in an FA Cup final, manager Dawe insists he will treat Pearce the same as the rest of his squad. “A year ago we were playing in front of one man and his dog and now we are set to [attract] hundreds for Stuart Pearce’s debut,” Dawe added.